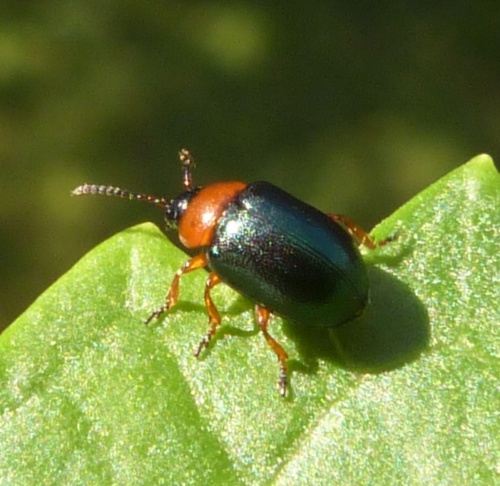 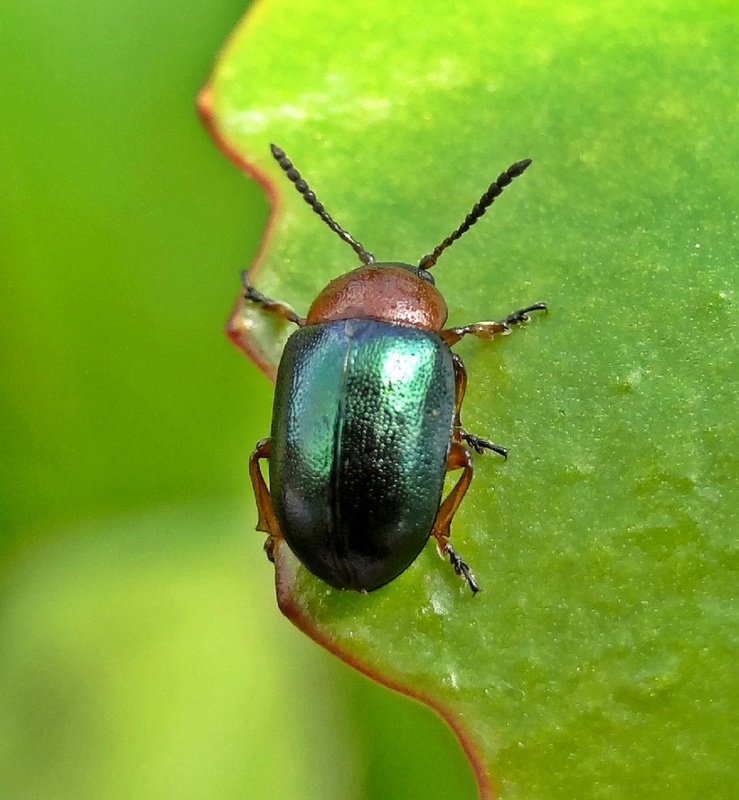 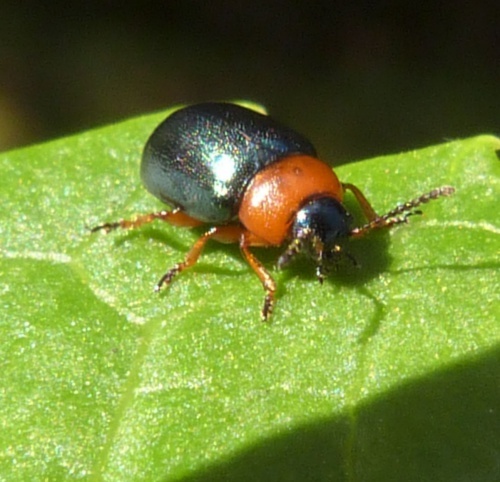 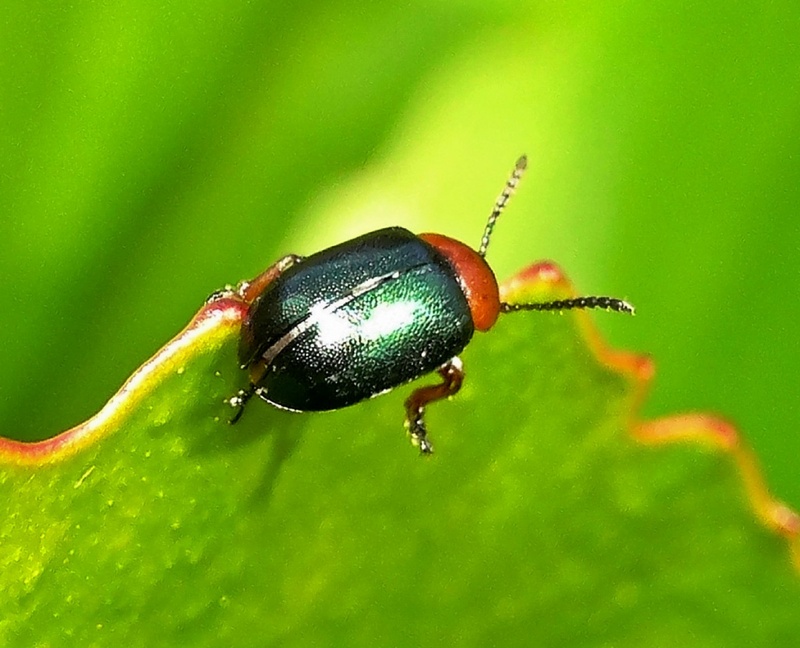 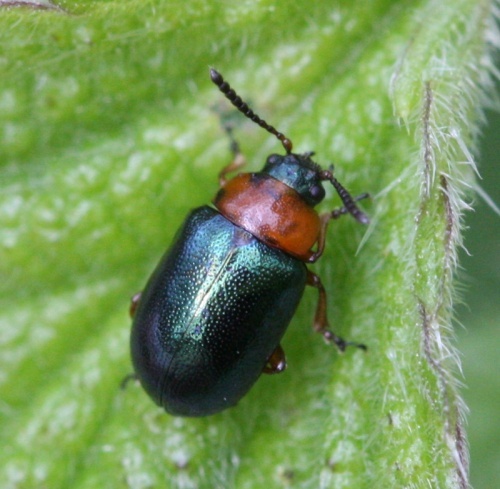 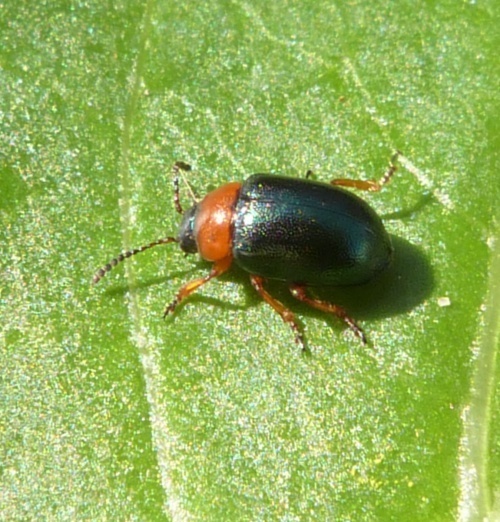 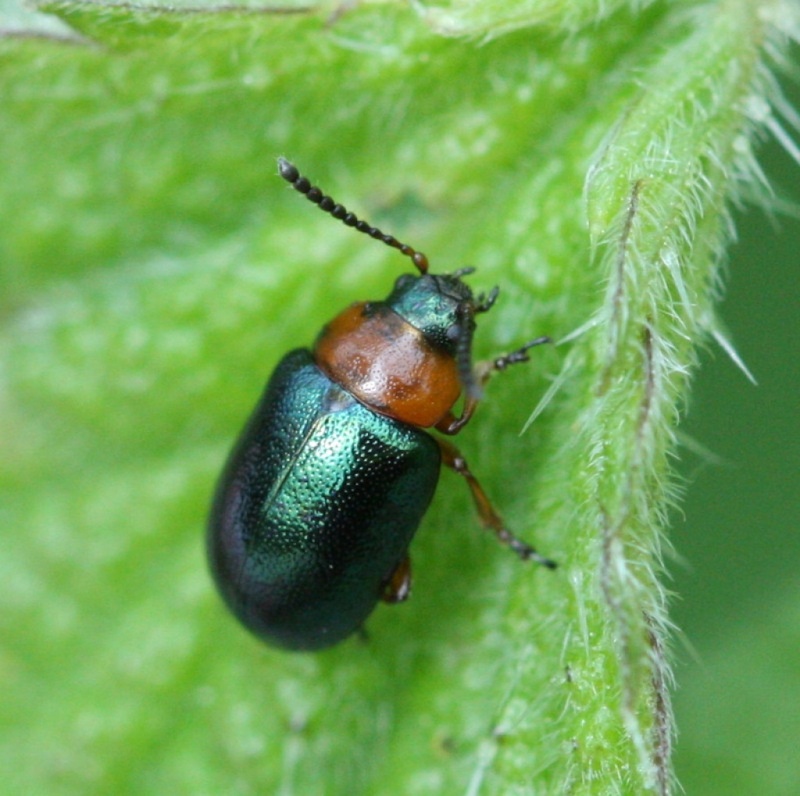 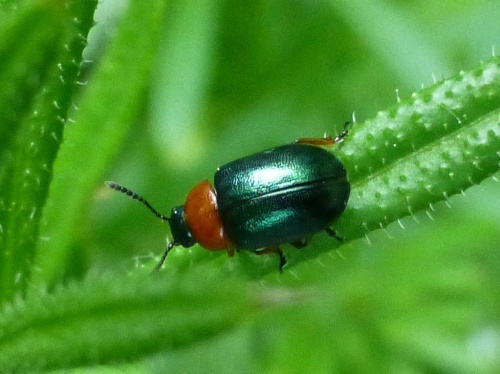 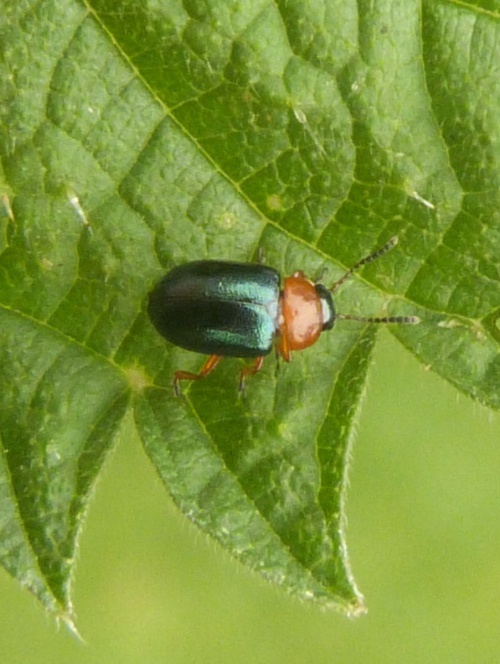 This is a small and colourful leaf beetle, no more than 5mm in length, with metallic green wing cases and head, whilst the thorax is orange. 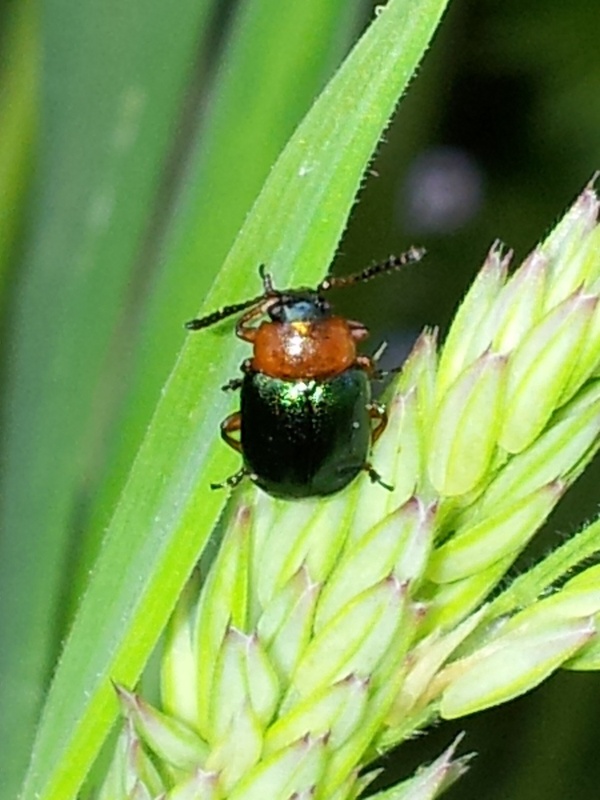 Found around its host plants. 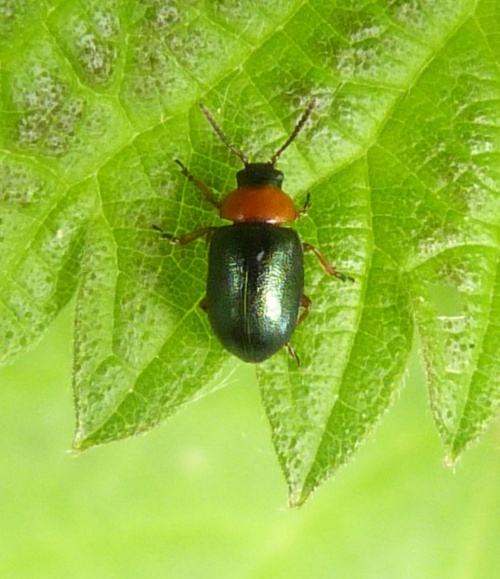 Associated with plants of the Polygonum genus, including bistorts, knotweeds, and knotgrass.